The Native Village of Gambell is located on the northwest cape of St. Lawrence Island, at the base of Sivuqaq Mountain. 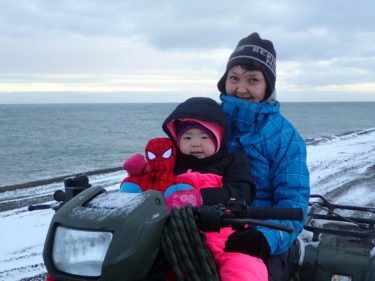 At 58 km (36 miles) from the Chukchi Peninsula in the Russian Far East, this island is nearer to Russia than it is to mainland Alaska. St. Lawrence Island is about 145 km (90 miles) long and 13-36 km (8-22 miles) wide. It is thought to be a remnant of the Bering Land Bridge. The Siberian Yupik name for St. Lawrence Island and Gambell is Sivuqaq. Its population of about 700 is more than 95% Yupik. 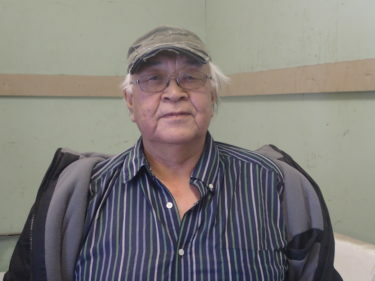 Residents speak St. Lawrence Island Yupik. The self-governing authority is the Native Village of Gambell. St. Lawrence Island has no trees, only the woody Arctic Willow which grow no taller than 30 cm (1 foot) high. When the Alaska Native Claims Settlement Act was passed in 1971 Gambell and Savoonga opted not to participate therefore the island is jointly owned by Gambell and Savoonga. Access to the island is solely by plane and by boat.